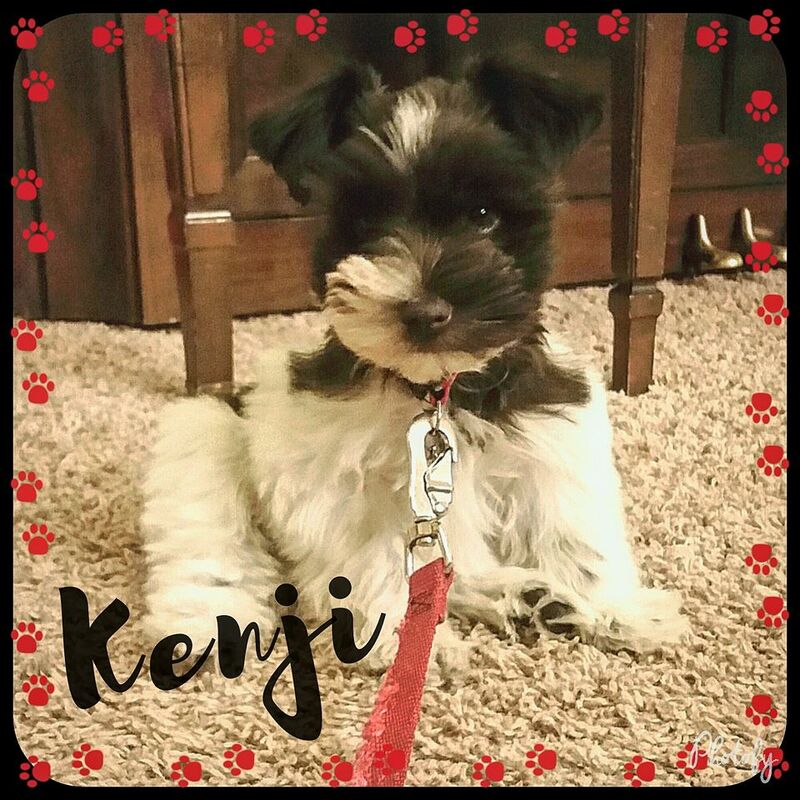 I wanted to give you an update on Kenji! His potty training is going so well and he is getting all his teeth. We love him so much! Thanks for being such an awesome breeder! We are so happy with our fur baby! "Hi! Memphis is doing great! He has just hit the 3 pound mark finally (7 months) now he can be neutered. We love him so so so much he is a wonderful addition to our family! 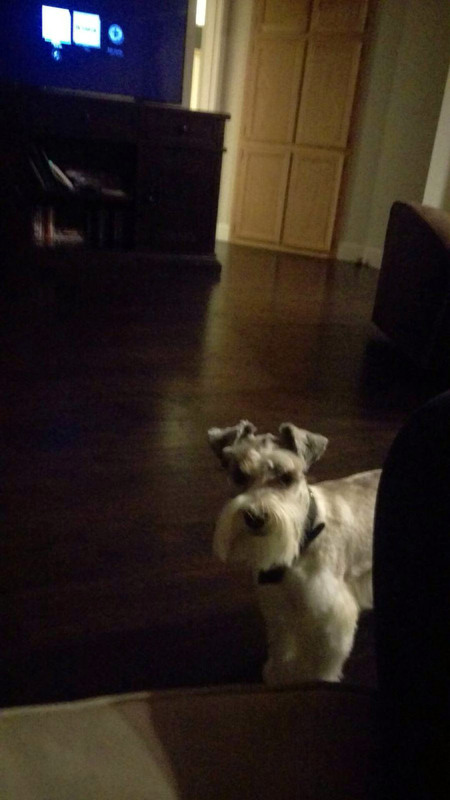 Baxter would be lost without him!! He is so smart and such a love bug! He was for the boys but he has become attached to me so now I have him and Baxter following me everywhere it is so wonderful!! He is so sweet and like I said he knows how to sit, stay, lay down, beg, speak and dance. Thank you so much for him! . We all love him so much!! I can't thank you enough! 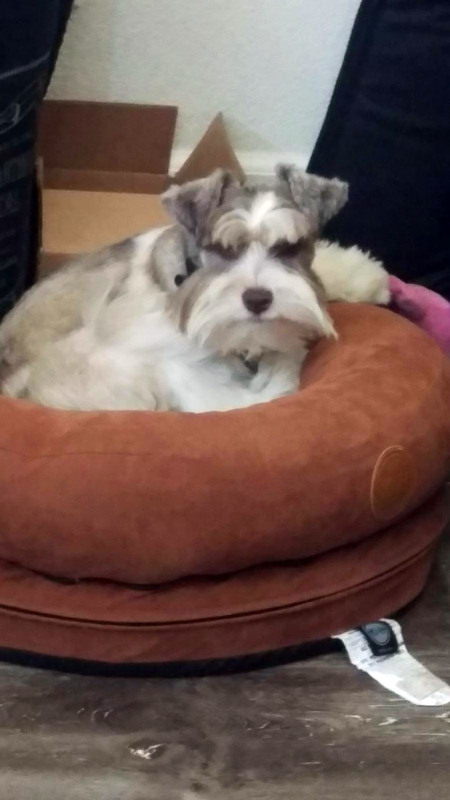 He has completed our family and when we get our next schnauzer you will be the person we call. "Put me on the list for another one! Sparky is AMAZING! I can't believe how small he has stayed. I have been buying dogs for 15 years and I have never received a puppy that was in such perfect health, well trained and so comfortable in the house with all the kids and just so well socialized! I cant wait to get another one from you! Sparky would love a baby brother to play with, besides my wife is feeling left out that she never gets to interact with Sparky without tearing him away from either me or one of our 2 children. BIG thanks from all of us!" 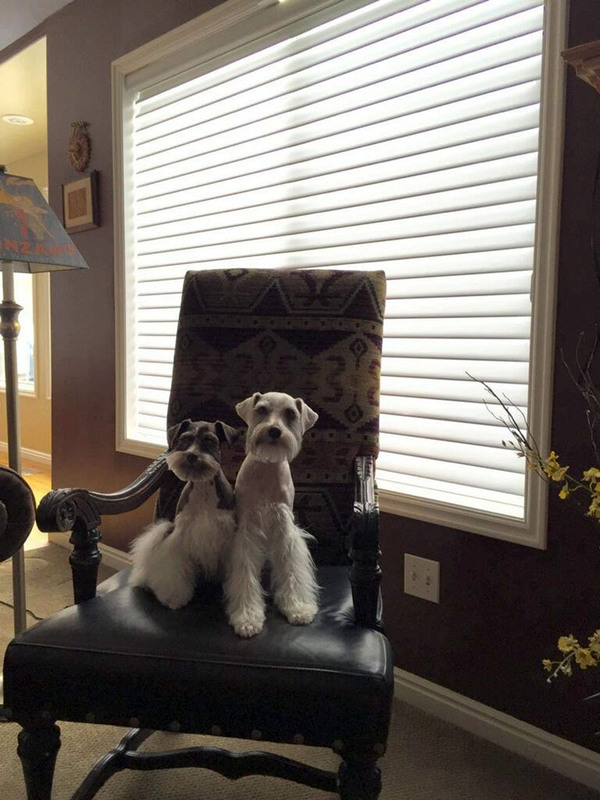 "We just wanted to say thank you so much for Lucy. My husband and grandkids absolutely adore her. They are all old enough to help take care of her. Her personality could not be a more perfect fit for our family. She is playful and fun but also relaxed and can just chill. She took to us really quickly! No one could love her more than us so you can rest assured she has a great home! She is staying small and is still a dark chocolate just like you said she would stay. 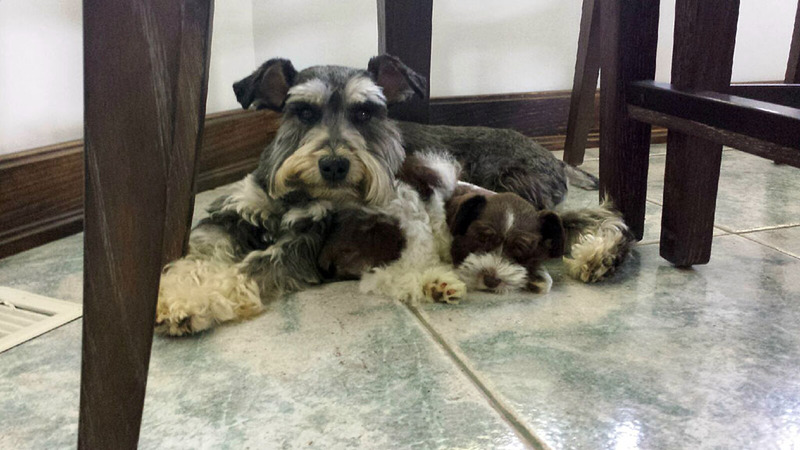 If we decide to get another schnauzer you will definitely be the one we buy from!" 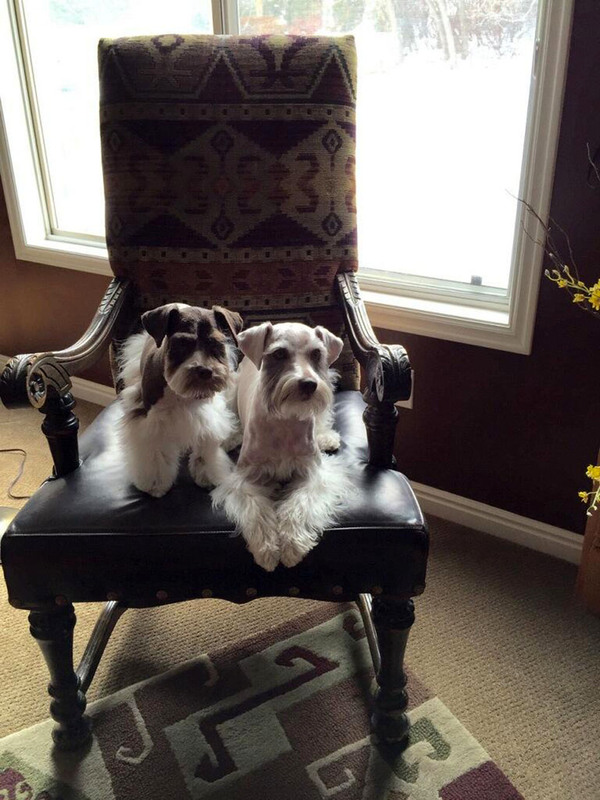 "We purchased Smokey, a Black and white Parti from OneSmallSchnauzer in 2011. I called that Sunday morning to see if we could come see him that afternoon. Shanney answered all of our questions and spent a lot of time with us while we watched him play with the other puppies. He was about 9 weeks old and the cutest thing we had ever seen. Since then he has become a big part of our family. Thank you very much for bringing him into our lives." 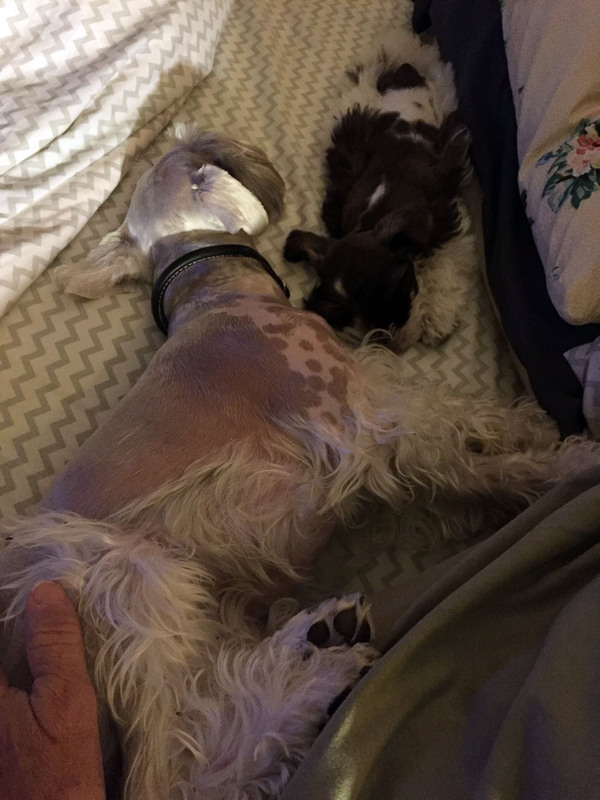 "I wanted to let you know that Zoe is doing great! She did really well on the ride home and slept through the first night. I would imagine she was exhausted from the trip to her new home. She seems to be adjusting to her new home very well! The kids just love her! They have enjoyed showing her off. They have a hard time leaving her alone long enough for her to nap. She is such a little sweetie and we are so in love with her already! Thank you for such a great puppy and all of your support through the process of getting her. 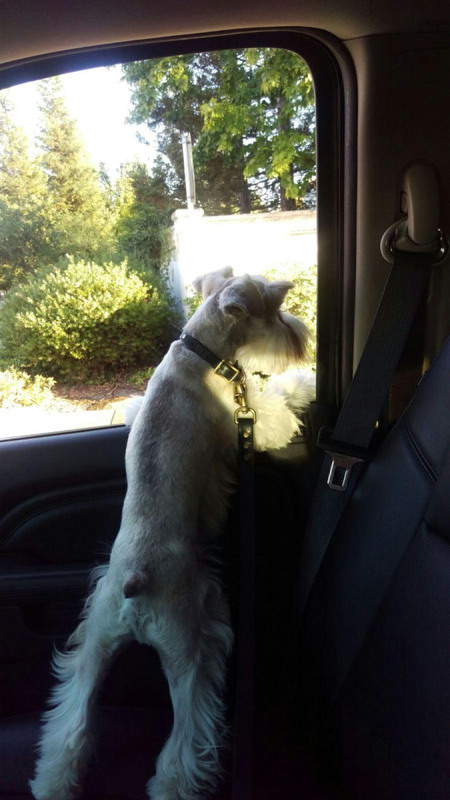 We would highly recommend OneSmallSchauzer to anyone who is looking for a great schnauzer." "I can't say enough about what a special girl Zeva is! She is turning out so beautiful and such a loving personality. She is definately a conversation starter when people come over! She is so smart and it is amazing how quickly their unique personalities develop. She knows when it is time to eat, go outside and even where her treats are. I bribe her with treats when it is time to come in from playing outside. 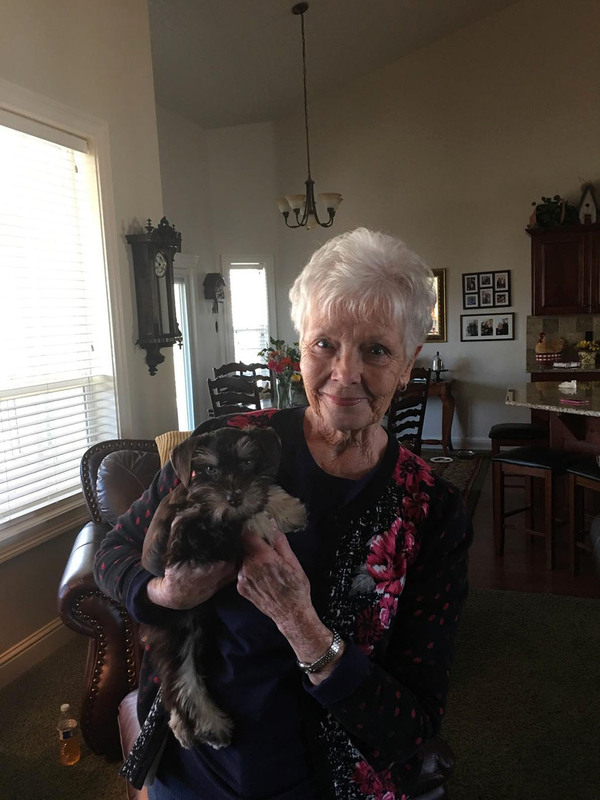 I can't thank you enough for having such a loving touch with your babies." "Harley is doing great! We just love him. My family couldn't ask for a better pup. Adorable, lovable, smart. Everywhere I go, He draws attention. 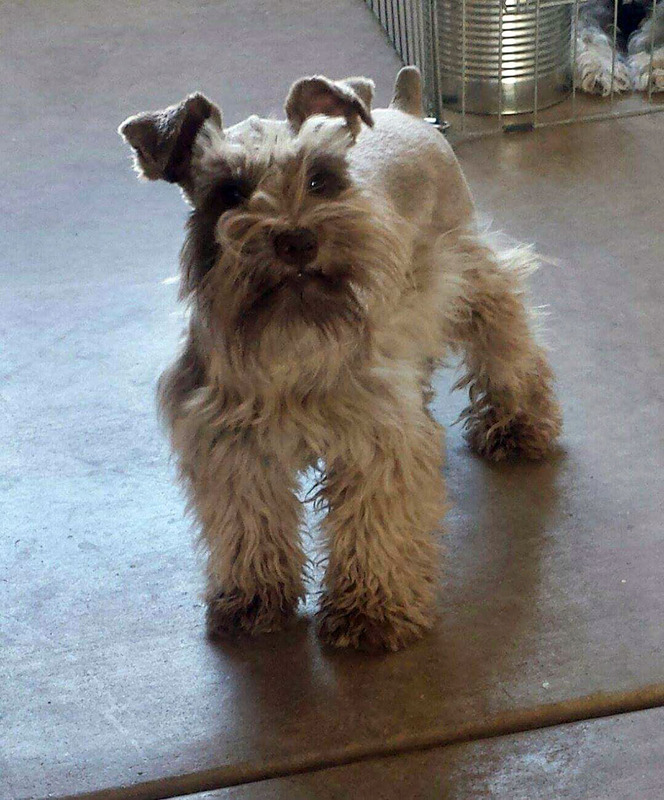 I have seen other schnauzers in are area, and they do not compare to my Harley. Thank you SO much"
My wife and I met you at the Walmart in Rock Springs, Wyoming last Saturday. And I thought you might like to see pictures of this little dynamo. On Sunday we went ATV riding up in the Big Horn mountains and this little dickens loved it. She chased my sons Welsh Terrier all around the place. Mickey is doing well. We walk everyday and he does real well on leash and has learned to stay on command, not perfect but does real well. He seems to enjoy everything and he has learned dog door. He seems happy. 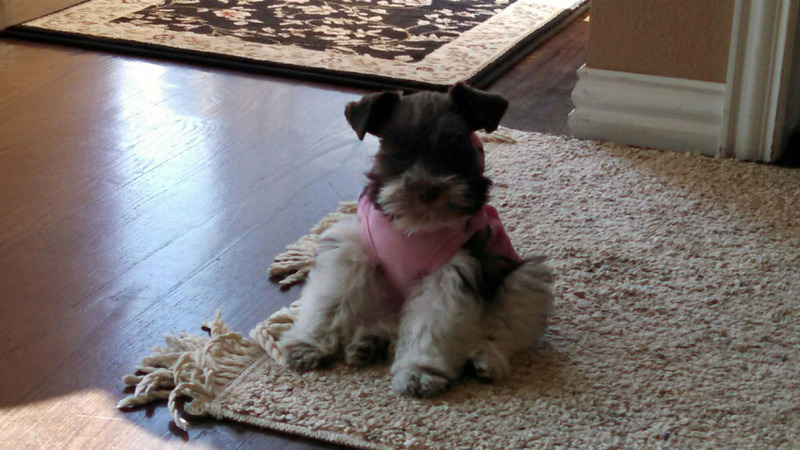 Ginger is a toy liver girl out of Koda and Junior living a wonderful life with Laura and her family in Arizona. Hi nanny. I love my new family. I have a big sister and a cool brother. 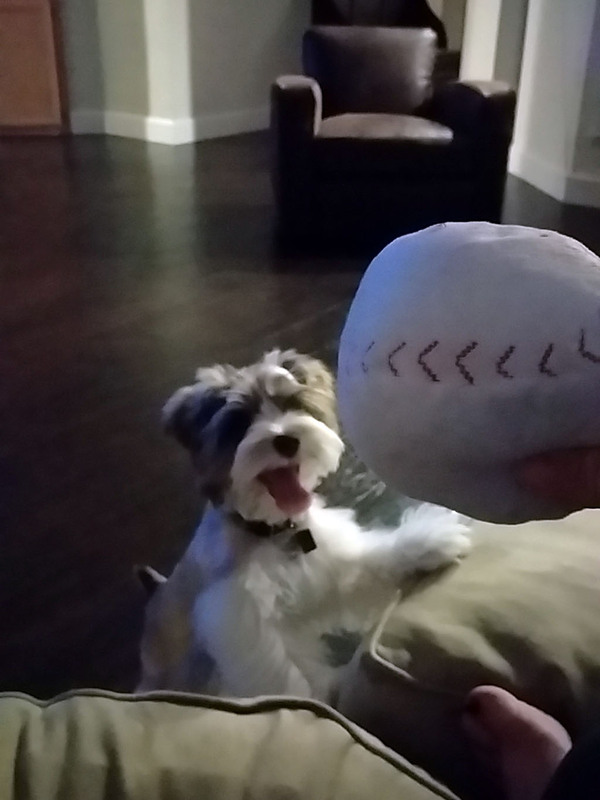 Oscar loves to play with the same stuff I do. I got new toys and some clothes. My mom is cool too. She shows me everything and when I get scared I can run to her and she saves me. I like sleeping with her ... Kind of around her neck...as long as I am touching her I'm okay. She looks so tired. She calls me a wiggle worm. I like my grandma too. She has doggies. I'm doing great. Boagie loves his baby girl...! Just wanted you to know we love Birdie so much!! Thank you. We are doing super good i am very happy with Bella, she is a good puppy she been going out side to the restroom her and my dog love each other, she love to play outside. 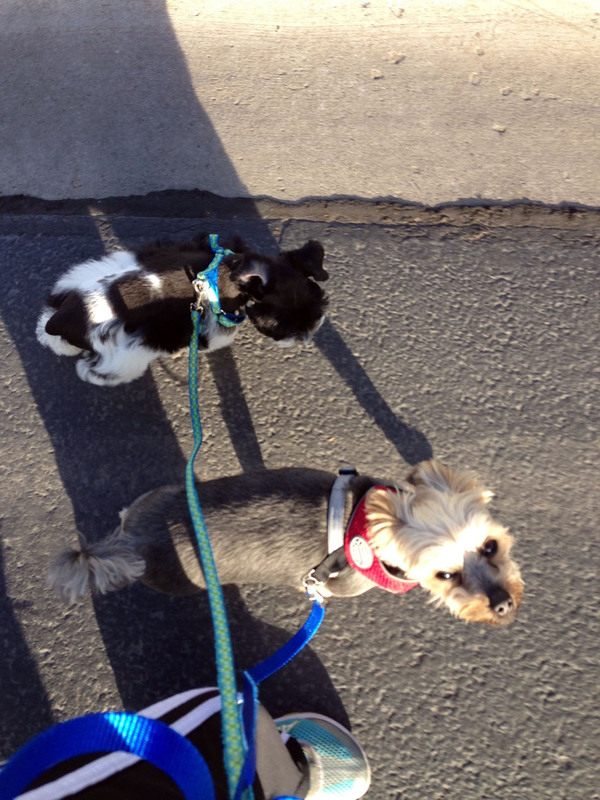 New haircuts for both Birdie and Bogie today. Hope this will bring you some cheer. Molly with her very happy mom!